Columbus | Missionaries aren’t sent out on their own. Or even solely through the power of missions agencies like the North American and International Mission Boards. Churches–supporting, sending churches–are central to the process. That was the main idea behind this morning’s Sending Celebration, hosted by Southern Baptists’ two mission agencies following brief reports by both. 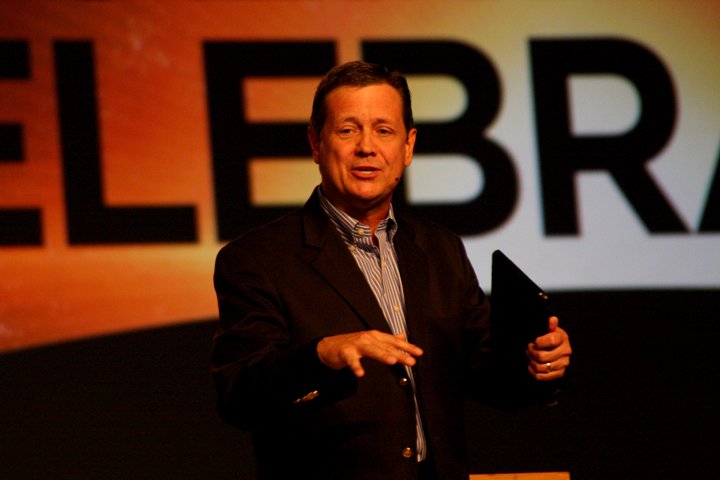 Instead of their traditional separate presentations highlighting missionaries, NAMB and IMB joined forces to celebrate people serving around the world, and the churches who have helped send them. In hopes that more will catch the vision for how they can be engaged with taking the gospel to the world. 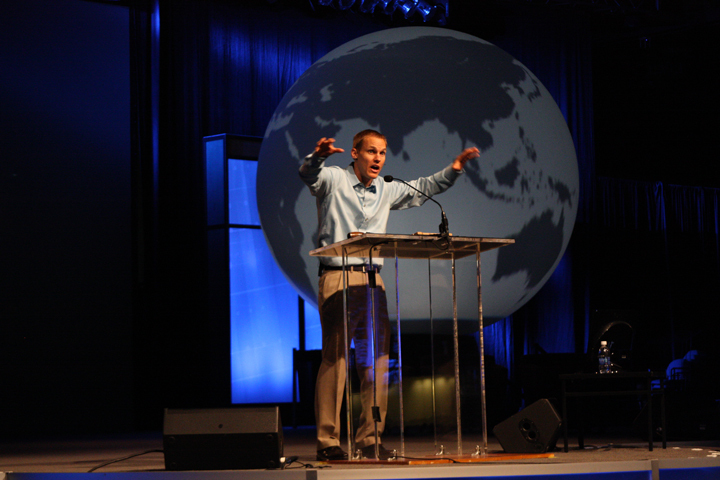 “Churches almost unknowingly begin to farm out missions to missions organizations,” Platt said. “But this is not how God designed it.” You won’t see IMB or NAMB in the New Testament, he said. Instead, you see churches like the one at Antioch. “We want to see 46,000-plus Antiochs,” Platt said at the beginning of the sending celebration. 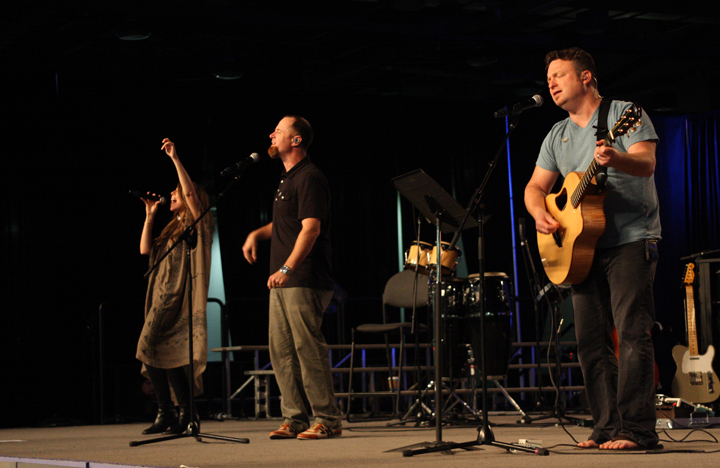 As worship artists Shane & Shane led music from the stage, slides introduced church planters serving across North America and others working across the globe. As their slides showed on giant screens in the convention hall, many of the missionaries stood, illuminated only by simple, book-shaped lights fanned out in front of them. At the end of the service, they stood again together, and people sitting around them stood and prayed over them as Platt and Ezell led from the stage.